I’m sure you all know Avira, the German company famous for their free antivirus software. Maybe you’re even using it as you read this article. And lately, you noticed they started promoting their own VPN: Avira Phantom VPN. While Avira collected many awards with their antivirus, is their VPN service up to the game? Let’s review Avira Phantom VPN in details now. First of all, Avira is a multinational company with offices and customers all around the world. And some of their most reputable clients are IBM and Microsoft for example. So you’re not dealing with a local player here but with professionals in security who know their business. Their best-known and most popular product is their antivirus: Avira Free Antivirus (previously AntiVir Personal). 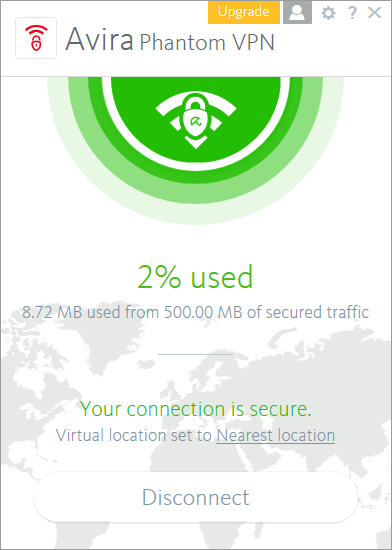 And it’s pretty good (I used it previously when I wanted to change from Avast). 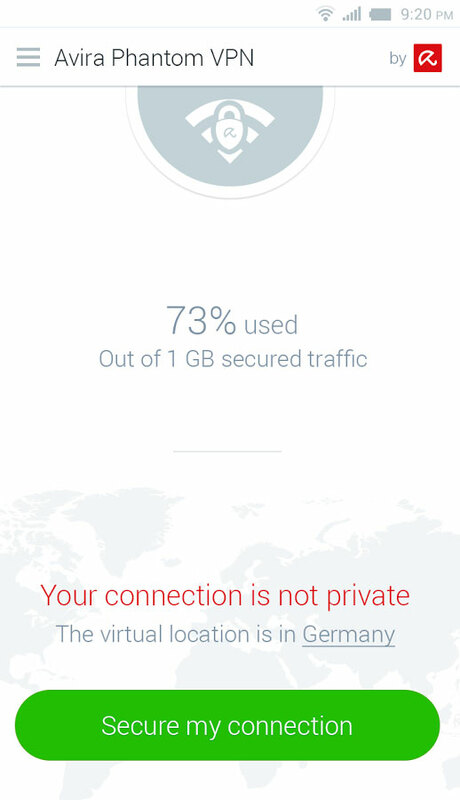 So I was really curious about their new product: Avira Phantom VPN. While expanding their product range with a VPN is a logical step for Avira, this is a brand new domain for them. But the integration of a VPN into their their free security suite was a clever decision. 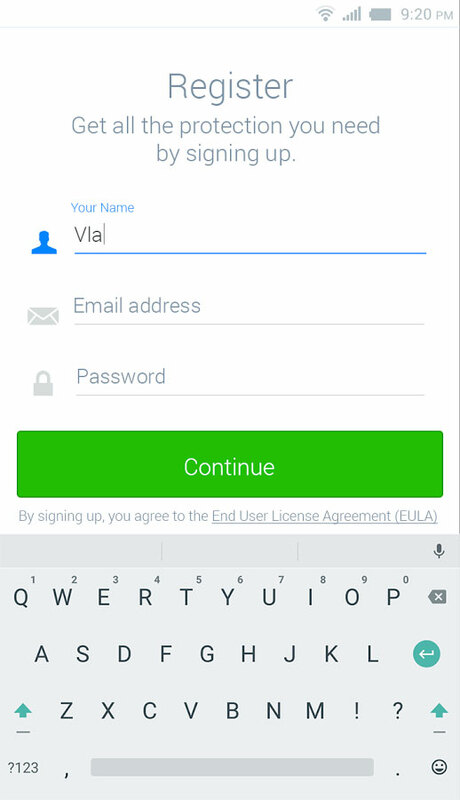 Note that you don’t have to use the antivirus to use the VPN! They’re both standalone software. Indeed, thanks to whistle blowers (Edward Snowden for example), people realized that we’re monitored on an industrial scale by our governments. And we all need protection. Even if we don’t have anything to hide. Often I hear my friends saying they have nothing to hide. But it’s not about having something to hide. It’s about everyone’s privacy and life. Therefore, if you want to get your privacy back, a VPN is the only solution (apart from disconnecting). Let’s start with their free VPN service. Because we all like free products. Even if there can be risks with them. Read my article about free VPNs for further details about that. 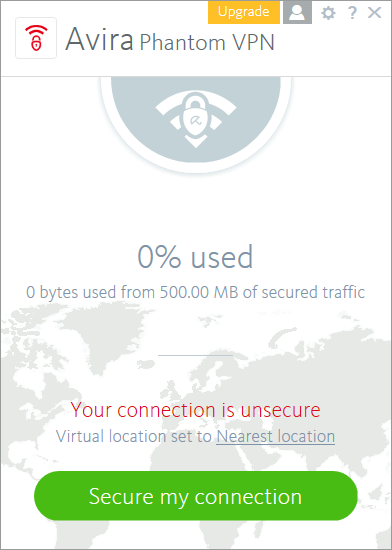 So, you can get up to 500 MB of data every month by simply downloading Phantom VPN client. And you get up to 1 GB monthly traffic by registering on their site. These are the standard packages at the time I write this article. Maybe you can get a deal from Avira if you’re already one of there customers. I’d recommend you to go check their site to get the best deals for you. As you can see, Avira Phantom is not cheap, starting at about £8 a month. But you can save up to 35% if you subscribe for a year, which is a reasonable monthly price. Of course, you can try Avira Phantom VPN for free, with just a few limitations beside the restricted data. Furthermore, you can get your money back up to 30 days after purchase, if you’re not satisfied. On Avira’s site, Phantom VPN is advertised as an on-off software. And they’re not lying about that. Because you can only press one button to connect and disconnect. Indeed, the client will automatically connect you to the fastest server. That’s it, you can now forget about it! While it’s user-friendly and optimal for casual users, I think the client lacks a bit of basic information. Indeed, you can choose among a few countries, but there’s no mention of the city where the server is. Therefore, you don’t know how far you are from the server. 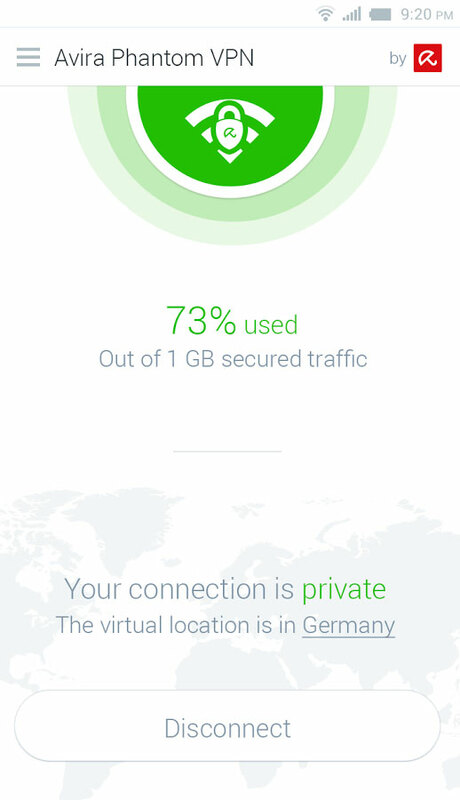 If you subscribe to Avira VPN, then you can enjoy two more settings: First you can automatically connect on public WiFi networks. And second you can enjoy their Fail-safe feature, which is a regular kill switch. Avira Phantom VPN is a bit mysterious when it comes to communicate about which protocol they use. I couldn’t find any mention on their website, nor on the client. And it leaves them open to speculations that Phantom VPN does not send any data through the tunnel and is more similar to a glorified smart DNS. However, they mention using an AES 256-bit encryption. So your data should be safe! With (at least) a server in the UK, Phantom VPN gives you access to streaming websites that are restricted to the British market: BBC Player, Channel 4, Channel 5, ITV player etc. International presence and broad coverage of the servers on all continents is the backbone of a good VPN service. As I mentioned above, Phantom VPN offers only 20 countries at the moment. Let’s hope they will pump up these figures rapidly. Otherwise it’s going to be tough to compete with major VPN providers! Avira is very clear about what they do or do not track. And they offer a strict no-logging policy, tracking only diagnostic data (which you can easily switch off), whether you are a free or a paid user and the amount of data that you consume. Therefore your online activity is protected (websites, IP, downloads…). Finally, if governments request data from their users, they cannot share what they do not know. While they must legally comply with the legislation of countries in which they operate, they make sure not to have any sensitive information to share with authorities. Avira Phantom VPN is an American VPN. And they provide a VPN service that encrypts your connection. Therefore it protects your privacy and increase your security. Avira Phantom VPN is a simple, maybe too simple, solution. It is suitable for all those who are looking for a convenient VPN to get protection online and watch streaming videos. If you're a demanding user, you'd better try another VPN.